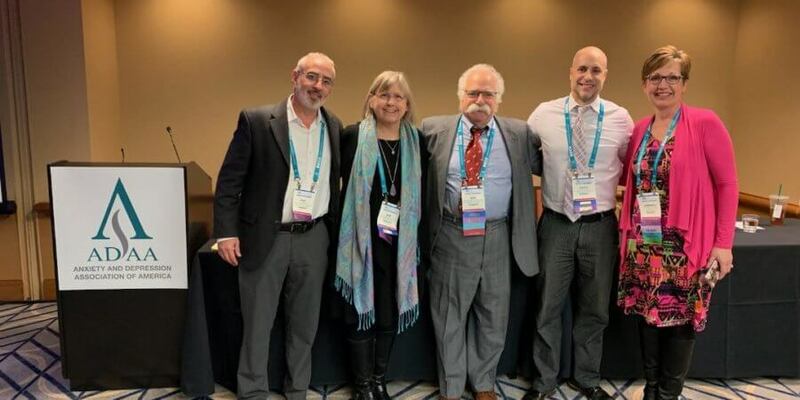 I presented a complex case recently at the Anxiety and Depression Association of America that challenged my clinical skills, but more importantly, deeply affected the quality of life of the person I was treating. It is always an honor to walk alongside my clients on their journey to living well with anxiety and OCD. This particular person struggled from a trauma he experienced when he was young and from there he developed severe OCD with themes of harming, responsibility, and perfectionism. I am happy to say he is living his life fully now. After processing his grief, he learned how to challenge his beliefs about being responsible for the trauma. He also learned to both hold his capacity to be gentle and caring as well as his ability to have thoughts about harming others. He was able to improve his ability to tolerate distressing thoughts and feelings. He became a pro at leaning into his fears rather than avoiding them. The importance of the therapeutic relationship. The need for flexibility in treatment-having to constantly assess the situation and change course if necessary. Using our tool box- we have a lot in it and sometimes we need to use it all: Customization, different treatment modalities, family therapists, more intensive resources. Our own need for support during complex cases- consultation with colleagues. Needing to try novel treatments-sometimes being creative or adding complementary/intergrative treatments can be the thing that turns things around. Using the structure of CBT as an anchor throughout our journey was helpful to both the client and myself. If you would like help with a complex case, contact us at www.AnxietyTraining.com.